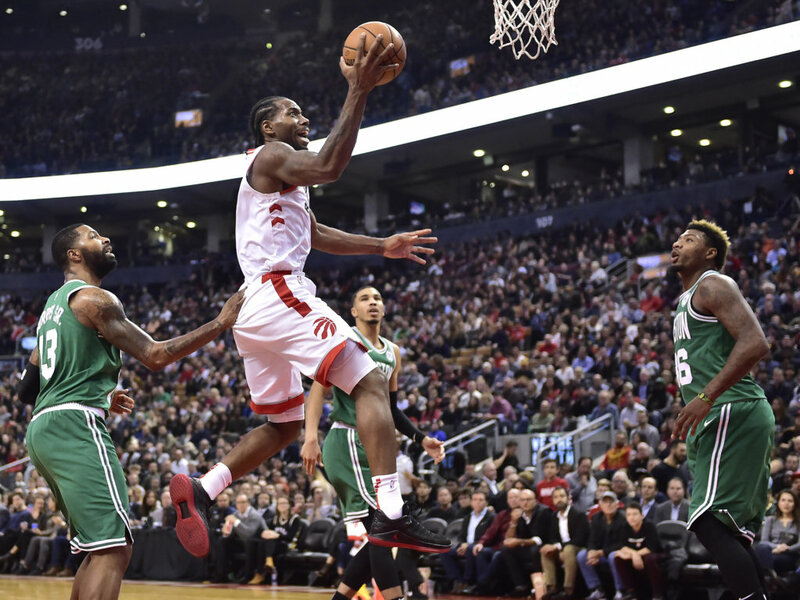 TORONTO — Kawhi Leonard had 31 points and 10 rebounds, Serge Ibaka added 21 points and the Toronto Raptors beat the Boston Celtics 113-101 on Friday night in an early matchup between Eastern Conference contenders. Kyle Lowry scored 15 points, Danny Green had 14, and Fred VanVleet 11 to help the Raptors win for the 10th time in 11 home meetings with the Celtics. Kyrie Irving scored 21 points for Boston, and Al Horford had 14 points, 10 rebounds and nine assists. Jayson Tatum scored 16 points, and Jaylen Brown had 13. Brown made a 3-pointer to give the Celtics an 87-86 lead with 9:03 remaining. VanVleet answered with a reverse layup, the first basket in a 6-0 spurt that gave Toronto the led for good. Celtics: At New York on Saturday night. Raptors: At Washington on Saturday night.